Those two Kina trees are well-known and long-lived in Damascus, they have remained for many generations and attended many historic phases in early time. 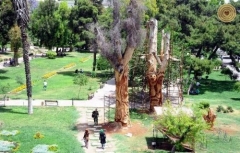 They were to be burned, it was the ideas of Mr. Moufak Makhoul to revive them in a certain way, and the Syrian trees never die. 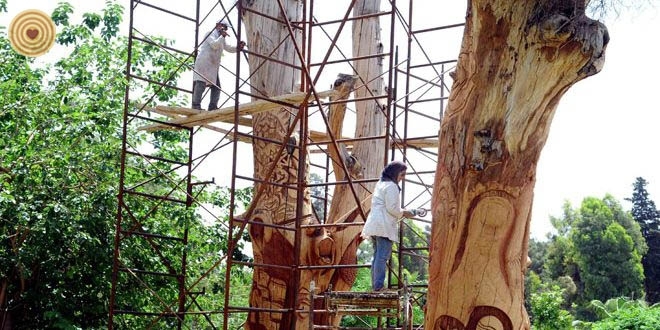 As the thickness and height of the trees, the process of engraving is done on the dry and died trees that are more than 130 year-old. 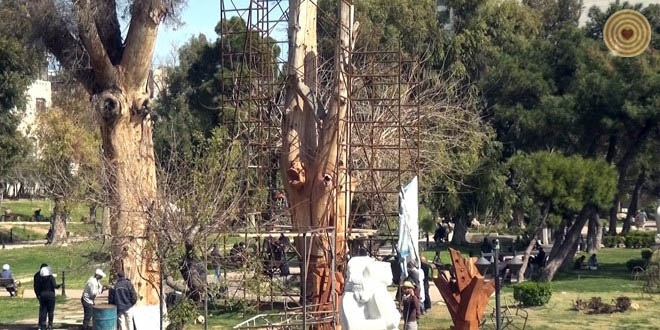 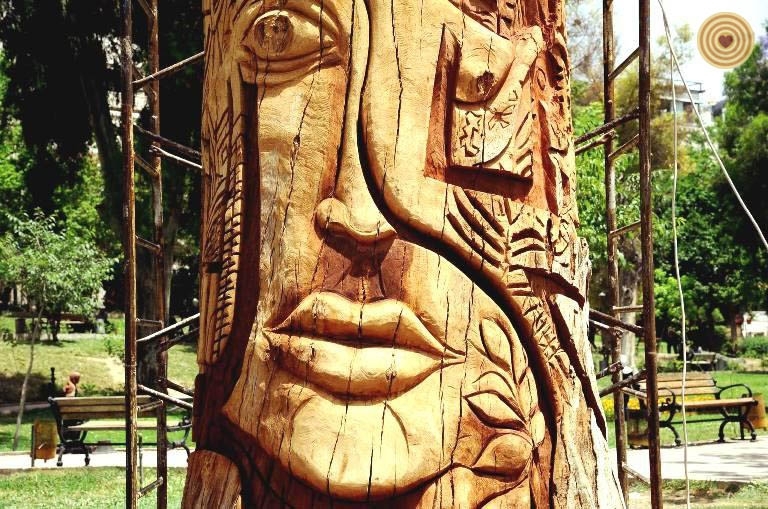 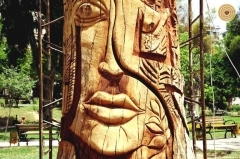 The work is not just in related to sculpture, and as well as to give it an aesthetic value, the historic value, and the educational value of how we employ the dry trees instead of burning it. 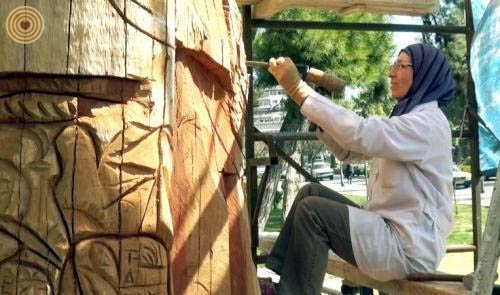 The artists tried to make them a tableau with inscriptions, and asserting the origins of art and civilization in Syria.